When you’re starting out in wine, it’s only normal to feel a bit lost. There many thousands of different wines, different styles, at all kinds of different prices. Of course, it’s not easy! There’s so much to know about to be at ease with wine… so much to learn about. But I have a bit of a secret for you: You don’t need to spend half your lifetime learning about wine to know enough to enjoy yourself. Learn just a few things and you’ll be on your way to:- Understanding the differences between the different styles.- Feeling confident choosing a bottle.- Knowing what wine will best match your dish. How?Well it’s all about knowing the most “popular” grape varieties. You see there are some varieties that are much more successful than others, and that will always find their way on to a shop’s shelves or a restaurant’s wine list. The best example for this, without the shadow of a doubt is Chardonnay! Every single wine producing region in the world will have a few Chardonnay wines. From Australia, to the US, and from Chile, to South Africa and Italy without forgetting its birth place: France. Every white Burgundy wine; all Chardonnay! Chablis; Chardonnay! The styles of wines it produces can be so vastly varied. They can go from light, delicate and crisp all the way to big, intense, rich and creamy. The same can be said of quality, there is Chardonnay of all qualities: cheap and cheerful all the way to the world’s most expensive whites. 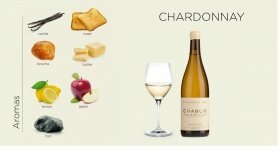 There truly is a Chardonnay for every palate (as long as you enjoy white wine)! So by learning about this one single grape variety, you’ll be at ease choosing wine wherever you go! That’s why we decided to create a mini video course on Chardonnay… A short course to teach the fundamentals of this grape variety. And we decided to make short and punchy! Basically, in just 10 minutes, we teach all the must knows, so that you go away knowing this grape variety and the wines it produces. Better even we made this course FREE! So that, when you choose a bottle in a restaurant or in a shop, you can be confident that there’s lots of different wines you know, and understand. And you can be sure you’re going to choose a wine you know you’re going to love. Basically, in just 10 minutes you’ll know practically a third of the wines on any restaurant wine list or shop. This free mini-course is video based, and is open to anyone wanting to learn about wine. 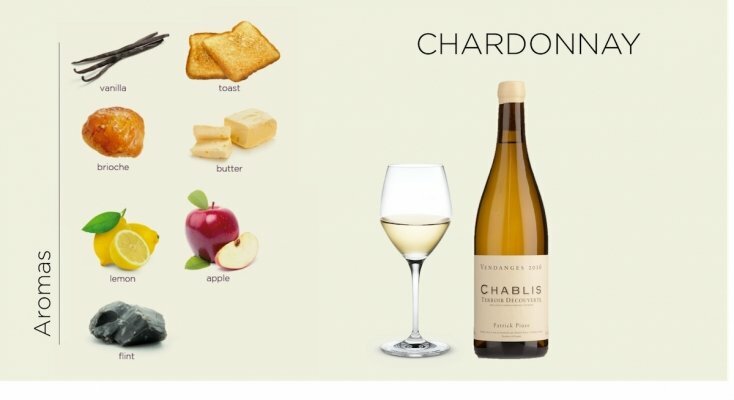 You’re going to find out about the different styles of Chardonnay, what they taste like, what they go well with in terms of food, what the best examples are and much, much more! If you’re serious about learning about wine, Chardonnay is the first grape variety you need to learn about. It produces wines in every single wine producing region in the world, at all levels. 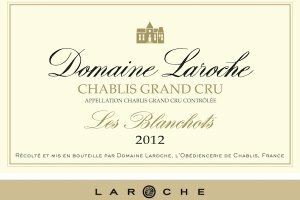 Burgundy whites, Chablis, Champagne are all Chardonnay wines. Learning about the different styles it produces, what their main characteristics are and what food they pair with will make you at ease in any wine shop or with any wine list. Plus with our free video training course, it is the best 10 minutes’ investment you’ll ever make! This is a wine learning “hack” if there ever was one!